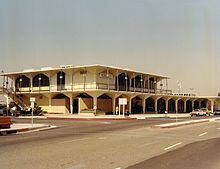 John Wayne Airport is an international airport in Orange County, California. John Wayne International Airport is the sole commercial airport in Orange County. General aviation operations outnumber commercial operations and several facilities at the airport serve the general aviation and corporate aviation community. 57th most-populous city in the United States.